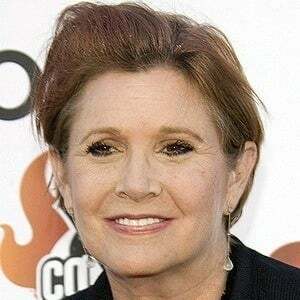 She soared to fame after portraying Princess Leia Organa in the original Star Wars trilogy from 1977 to 1983. She also wrote the bestselling novel Postcards from the Edge. 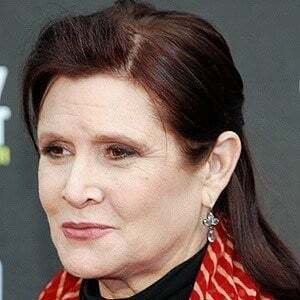 She appeared in Las Vegas shows with her mother when she was twelve. 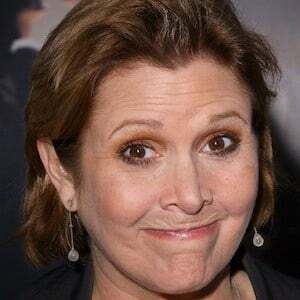 She played supporting roles in the 1980s films The Blues Brothers and When Harry Met Sally... She also voiced Peter Griffin's boss Angela on the animated series Family Guy. 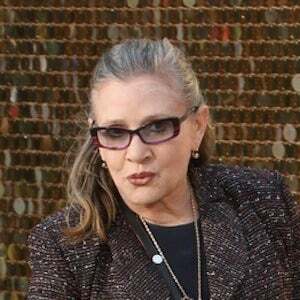 She was born to singer Eddie Fisher and actress Debbie Reynolds and raised with a younger brother named Todd Fisher. She was married to Paul Simon from 1983 to 1984. 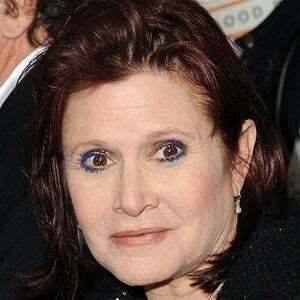 She was also briefly engaged to Dan Aykroyd in 1980. 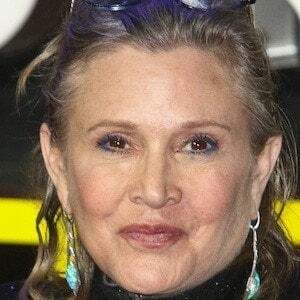 Her daughter Billie Catherine Lourd also became an actress. 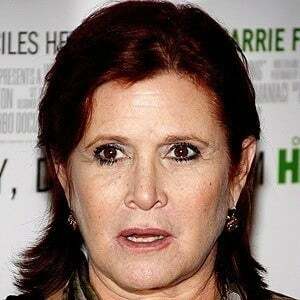 She starred in the original Star Wars films alongside Harrison Ford, who played her love interest Han Solo.